What’s more quintessential and legendary to ever grace the reggae music industry than the master, Mr. Bob Marley himself? 40 years ago, Bob debuted Kaya, a record that shaped the trajectory of reggae forever. Now with a succession of talented children to carry his legacy, Bob Marley will always be remembered through his music as he impacts each novel generation. In commemoration of the Kaya record's 40th anniversary, the Marley family is proud to host the 2nd Annual Kaya Festival in San Bernardino, California this upcoming April 28th and 29th. 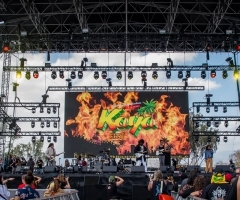 Presented by Stephen “Ragga” Marley’s Fruit of Life Productions, the premiere Kaya Fest was well received in downtown Miami, featuring not only all five Marley brothers, but further all stars such as Ms. Lauryn Hill, Sean Paul, Pitbull, among others. The festival’s main purpose is to educate and deliberate on cannabis benefits through seminars and song – in the most regal of reggae fashion! "Education over recreation" is Kaya Fest's motto, and the Marleys are the ones proud to puff, puff, pass along the knowledge. The first annual was named one of the Top 10 Music Moments of 2017 by the Miami New Times, and let’s just say Kaya 2 is well on its way to be even better. Hopping coasts, Kaya Fest leaves the Atlantic behind to take place in sunny southern California this spring 2018. 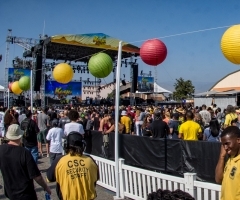 And, don’t be bummed that it’s no longer along the shores of Long Beach; the new location of San Bernardino’s NOS Event Center can hold a much bigger capacity, accommodating more attendees into the mix. You won’t want to miss this one! Not only are the Marley brothers reuniting again (that’s Stephen, Ziggy, Damian “Jr. 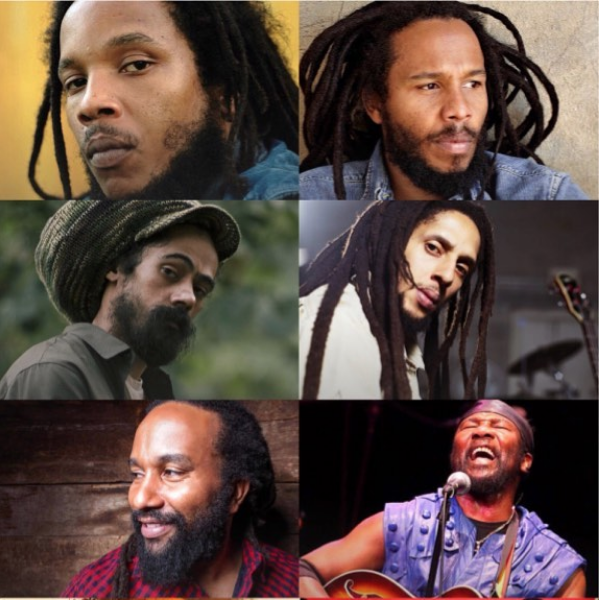 Gong”, Julian and Ky-Mani Marley), but they’re joined by the top of the reggae top: Toots & the Maytals, Marcia Giffiths (of I-Threes), Inner Circle (celebrating their 50th year making reggae music), Third World, Indubious and Roots of Creation. You think that’s enough Marley for you? Hold on, let’s not forget about Bob’s grandkids joining the bill! Also performing is Skip Marley, Jo Mersa Marley, Daniel “Bambaataa” Marley and Shacia Payne Marley… and that may not even be all. That’s right – more artists are to be announced closer to the event. And, this just in! A second wave of all star artists has been added to this already killer lineup. As of January 30th, Latino hip hop legends Cypress Hill join the mix, as well as island reggae goddess Anuhea, chef turned TV star turned rapper Action Bronson, and rocker and renowned political activist Tom Morello (of Rage Against the Machine, Audioslave, Prophets of Rage). Last, but not least, GRAMMY-nominee Chronixx stands as the latest addition to the fest, promising to bring reggae revival vibes at their finest. 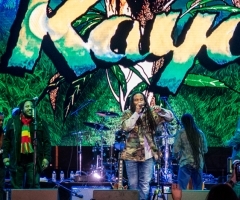 Between reggae greats, up-and-coming acts and hip hop heavyweights, Kaya 2 has quickly become one of the most noteworthy festival destinations of 2018. With so much talent signed on for the 2nd Annual, you’re going to have to secure your tickets FAST. Tickets went public on January 18th, so get your passes now before it's too late. Again, this event is about weed awareness, which is all the more reason Californians should attend – it’s legal now! For ticket purchasing or more information, visit www.kayafestivals.com.